Superstar’s Kabali kick-started auspiciously yesterday, the 21st August with a photoshoot that happened at AVM Studios, Chennai which involved the participation of the star himself along with heroine Radhika Apte. Reliable sources reveal that the first look of the film will be revealed on the Vinayaka Chathurthi day (17th of September). The film also will feature, Dhansika, Kalaiarasan and others. His enthusiasm and exhilaration are quite understandable! Good Luck Kalai! Vijay's Puli is the undisputable no 1? Kabali Will Be How Ranjith Wants It To Be, Rajini Assures. Madras Fame Actor Kalaiarasan To Act In The Superstar Rajini - Pa Ranjith Film? 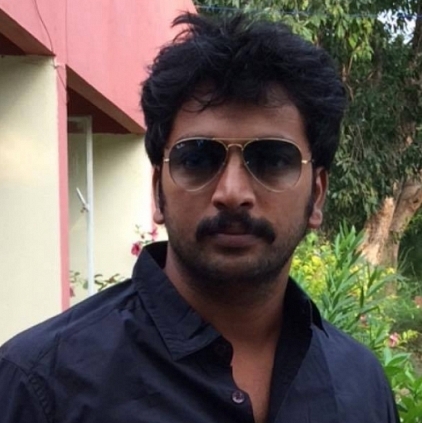 Kalaiarasan Teams Up With Prasanna For Kaala Koothu Directed By Nagarajan. Why Aren’t We Amazed By Rajini’s Signature Style Anymore? People looking for online information on Kabali, Kabali photoshoot, Kalaiarasan, Rajinikanth will find this news story useful.